The holidays are here! Our family loves spending time outdoors, and some of our favorite gifts to give and receive help us enjoy the world outside even more. 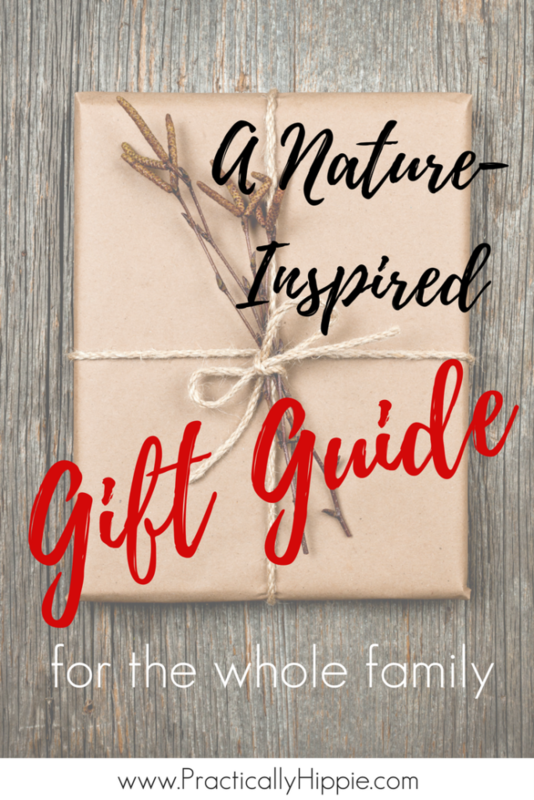 I’ve put together this gift guide with nature-inspired gifts for the whole family with options that are sure to please any nature lover. Looking for nature-inspired gifts? You’ve come to the right place! 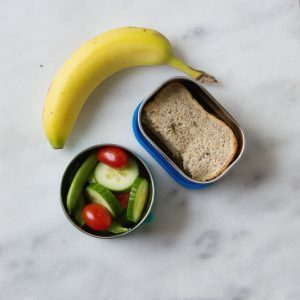 ECOlunchbox Blue Water Bento: Exploring nature often means eating on the go. These eco-friendly, reusable lunch containers from ECOunchbox are the perfect way to pack a fresh air picnic. We have several sets of the Blue Water Bento line and use them every single day! Rain boots: Rain boots are a staple to be able to enjoy the outdoors in any weather. 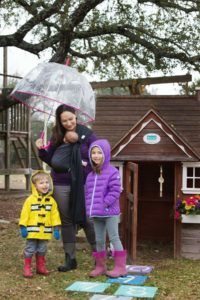 My two older kids have these rain boots, which are awesome because they have a removable liner that can be washed and dried. My husband has a pair of Sorel boots that he loves, and I have a pair from Costco. We all find ourselves wearing these more often than just in rainy weather. Binoculars: We have several sets of kids’ binoculars, but to be honest they’re not all that great at actually seeing at a distance. These binoculars would be great for bird watching, taking in the scene from the summit on a hike, or even getting a better view of the stars. 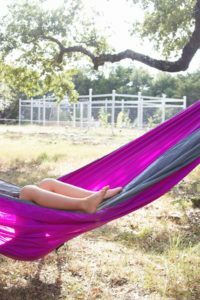 Jackson Pine Hammocks: I got my first Jackson Pine hammock with a set of tree huggers for my birthday this year, and it has gotten so much use. It’s so easy to toss in my hiking backpack to set up anytime we want to stay and relax on a trail for a while. Hiking Backpack: Pack all of your necessities and hit the trail with this lightweight backpack. State Park Pass: A state park pass makes a great gift for families who enjoy hiking and camping. 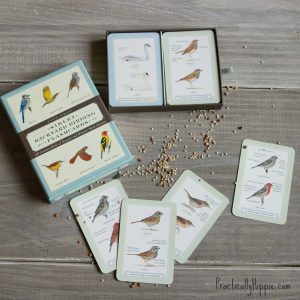 Backyard Birding Flash Cards: We used these flash cards during our backyard bird nature study earlier this year, and they always seem to find their way back out onto our nature table. They are truly a work of art; beautiful and informative at the same time. Window Bird Feeder: Get an up close view when birds come right up to the window to eat from this bird feeder. 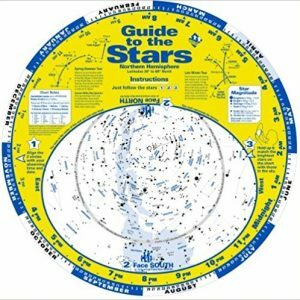 Guide to the Stars: A star chart is a must for any budding astronomer. My kids love to play with ours and look at the different views of the night sky based on what season we are in. H.A. Rey’s The Stars: I’ll admit I only picked up this book because it’s by the author of Curious George, but this is no ordinary children’s book. This book is an excellent resource for stargazing and learning the night sky as a family. H.A. Rey’s Find the Constellations: Another classic book by H.A. Rey that is beautiful and perfectly suited for the whole family to learn together. It’s been updated with the latest scientific facts on constellations and planets, and is a great starting point for learning about space. The Night Sky: How neat is this?! Commemorate a special occasion with this sweet, high-quality print of the night sky on that very day. Fern Real T-shirt: Every nature lover needs an awesome T-shirt, and this one comes in several color options, and supports a work-at-home mama too! 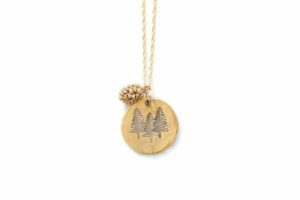 Three Pines Tree Necklace: What’s not to love about this delicate, hand-stamped necklace? 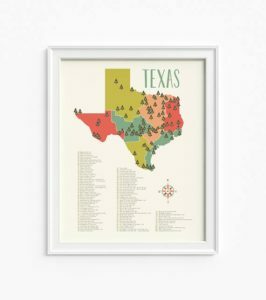 State Park Travel Map: We have been working our way though visiting different state parks this year, and this beautiful print would be an awesome way to document our travels. Find one for your state or even a national park map. 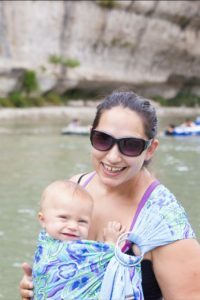 Beachfront Baby Sling: I looooove my Beachfront Baby Sling for babywearing in all different types of weather. It’s great for being out in the rain or taking a hike on a hot summer day. It’s also great for cold weather babywearing when baby is dressed in warm winter clothes, but I don’t want her to overheat. Nature Anatomy: This book has been a favorite for several years. It combines art and science to explain the parts and pieces of the world around us. It’s a great coffee table book to inspire family conversations. Play the Forest School Way: If you’ve ever been outside with kids who say they are “bored,” this book is for you. It’s full of ideas that use nature as a backdrop or an active participant in play. There are ideas that would work well for toddlers up to teens. 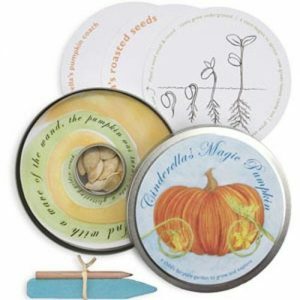 Fairytale Seed Kits: How cute are these seed kits that go along with fairy tales? Perfect for any family who loves to tell stories. 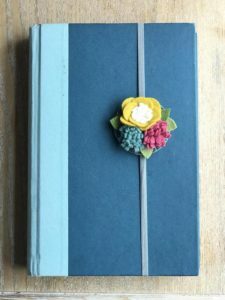 Felt Flower Bookmarks: These dainty felt flower bookmarks bring a bit of spring and sunshine inside any day of the year. Prismacolor Colored Pencil Set: The proper tools go a long way in nature journaling, and this set of quality colored pencils is a must for any family who loves nature study. The Laws Guide to Nature Drawing and Journaling: The ultimate resource for learning to draw elements of nature and nature journaling. Watercolor Field Sketch Set: This collection of Koi watercolors is perfect to toss in a hiking bag and take natural journaling on the trail. 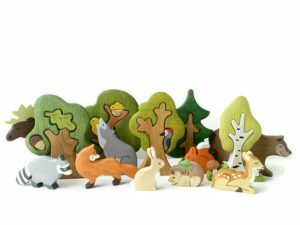 Wooden Forest Animal Set: For the littlest of your nature lovers, this set of wooden forest animals is an adorable way to engage in imaginative play with a nod to nature. Green Kid Crafts subscription box: Subscription boxes are popular gifts, and for good reason! I have gifted Green Kid Crafts boxes for the past few years, and they don’t disappoint. They cover themes like the ocean, volcanos, safari, and space, and have options for a range of ages from 2 to 10+. 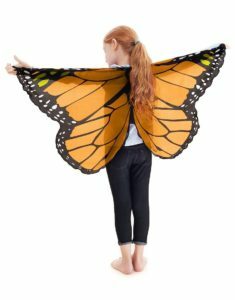 Dress Up Butterfly Wings: Kids love to play dress up, and these beautiful butterfly wings are a great way to bring the outdoors in. They have elastic straps which make them a great fit from toddler to adult. Kids’ Hiking Backpack: My kids love to carry their own backpacks, and this one is just the right size to carry a few necessities with room for treasures collected along the way. My niece would love those butterfly wings!! So cute!! They’re one of the most played with dress up items in our house! 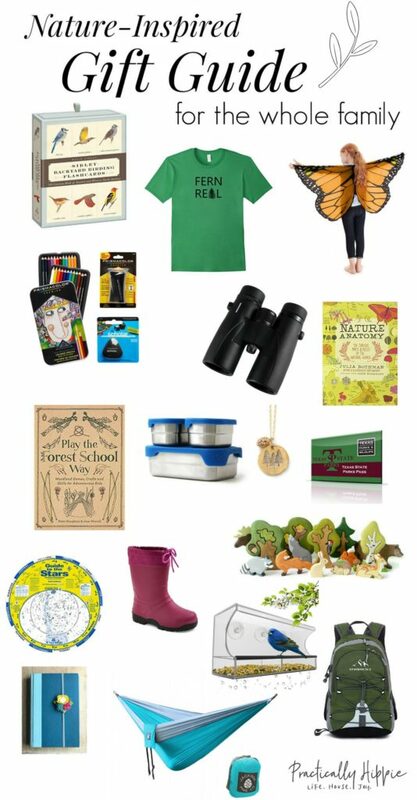 This is such a great list of nature gifts! I found bookmarking many of them. My favorite has to be the tree necklace! I’ve gifted park passes in the past and they’ve been very welcome gifts – thanks for the reminder! I would love some bento boxes. We are always taking food on the go with us. These ones are the best! We’ve had them for several years and they’re great. So many great gifts here and such a unique guide. Thank you! Hope you found something for a nature lover on your list! I. Am. Drooling. These are awesome suggestions. Added several to the “cart”. Also subscribed. Sincerely, one nature loving mama to another. so many of these look so great! I will have to add some to our family’s holiday wishlists! These are such unique and thoughtful ideas! I really want that Three Pines necklace. I’m currently obsessed with a book series called the Three Pines Mysteries — so fitting! These gift items are great! I love the Night Sky poster!